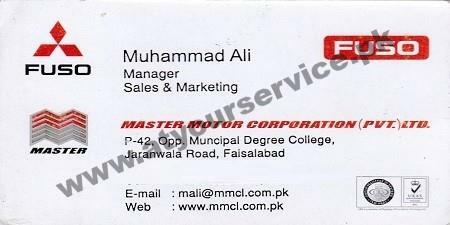 Master Motor Corporation is located on Jaranwala Road, Faisalabad. It is a 3S dealer of Master Motors Corporation Pvt. Ltd.